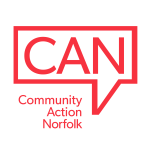 Community Action Norfolk has been busy delivering training in tacking fuel poverty to front-line staff across the county. Funded by British Gas Energy Trust’s Healthy Homes Fund, and supporting Norfolk County Council’s Warm and Well campaign, we’re working with colleagues from the public sector, clinical commissioning groups and the voluntary sector. The idea is to inculcate awareness and knowledge of the key facts about fuel poverty for professionals whose existing specialisms require them to engage regularly with vulnerable service users. They are then better equipped to use their expertise to advise and inform their clients, know when to signpost or refer on to another agency, and provide intelligence to inform issues and solutions. It’s about having an ‘eyes and ears’ approach when working with service users. Fuel poverty is the problem – but what exactly is it? The Low Income High Cost (LIHC) indicator classes a household as being in fuel poverty if its energy costs are above the average for its household type; and were they to spend that amount, they would be left with a residual income below the official poverty line. In easy-to-understand terms, it’s fair to say that if a household experiences genuine difficulty in paying its cooking and heating energy bills, then it’s probably in fuel poverty. 2.28 million UK residents are estimated to be in fuel poverty. Around 41,200 Norfolk households in fuel poverty were estimated to be in fuel poverty in 2013 - that’s 11% of the county’s households. In some locations in Norwich and Great Yarmouth figures reaches a quarter of households. The areas of Norfolk worst affected by fuel poverty are now urban, although there are still many rural areas with higher than average levels – 70% of areas classified as being in a ‘sparse setting’ have worse levels of fuel poverty than average. Around 9,000 Norfolk homes have no central heating (2.4% of households), with Great Yarmouth (3.7%), North Norfolk (3.4%) and Norwich (2.6%) worse than average. Extensive areas of Norfolk are ‘off gas’. With limited gas connectivity, households in many parts of the county have above average electric and oil use (especially in rural areas), and are disproportionately disadvantaged by the cost of heating their homes. CAN’s Thinking Fuel collective oil buying scheme addresses this by offering low oil prices and easy payment terms. The average fuel poverty gap in the East of England is £374. That’s the additional amount a household would need, per year, to make their energy bills affordable. The UK has one of the highest excess winter death rates in Europe – around 30% of excess winter deaths can be attributed to excessively cold temperatures in the home during the winter months. In Norfolk this equates to 620 extra deaths per year in winter. Treating illnesses caused and aggravated by cold homes are estimated to be about £1.36 billion per year. Mental Health may also be affected - the cumulative impact of worries about personal health and energy bills. Other impacts include tough ‘heat or eat’ choices and not having a warm place to work or study. That’s how big the problem is. Here are the possible solutions that we need to make the public, and especially our service users, aware of. Gas and electricity prices are rising but there are ways to reduce energy bills – such as getting the best energy deal, getting help from energy suppliers or government schemes and making homes more energy efficient. Download the ‘Energy Best Deal booklet from Citizens’ Advice and Ofgem by clicking here. Would switching supplier save me money? Am I eligible for welfare benefits? Am I eligible for a grant to improve the energy efficiency of my home? Am I on the best deal and/or payment option? Talk to your supplier or view their website. If you can’t access the internet call Citizens Advice on 03454 04 05 06. If you rent and you are responsible for energy bills, you have the right to switch. A landlord only has the right to choose energy supplier if they are paying the energy bills. There is no danger of your energy supply being disconnected. You will not need a new meter. Download Ofgem's handy ‘Be An Energy Shopper’ guide by clicking here. Big Switch and Save is a collective energy switching scheme. It’s a ‘reverse auction’ where electricity and gas suppliers compete to offer the most attractive tariffs. By grouping households together it’s possible to negotiate much lower energy tariffs than one individual on his or her own. Find out more by clicking here or call 0800 0488. If you are of pensionable age, disabled chronically sick or have sight or hearing difficulties you may be able to qualify for help from your supplier with, for example, a free gas appliance safety check, receiving bills in alternative formats or relocation of your meter to an accessible place. Most energy suppliers offer some form of help to their customers who are struggling to pay their energy bills. If you owe your supplier money, they must offer a payment arrangement that takes account of your financial circumstance and ability to pay. The Home Heat Helpline also offers advice – call them on 0800 33 66 99. There are all kinds of common-sense ways of reducing energy consumption around the home. Here are just a few. Save £30 a year by using a bowl to wash up rather than running tap water. Only boil the amount of water needed in the kettle and save around £7 a year. Keep pan lids on when cooking food – quicker, cheaper and avoids condensation. Line-dry clothes if possible, instead of using the tumble-dryer every time. Cut back washing machine use by just one cycle per week and save £5 a year. Don’t leave rechargeable items on all night - a couple of hours will do. And switch computers and TVs off rather than leaving them on stand-by. Draw curtains at dusk to keep the heat in, Close internal doors too. Switch off lights that aren’t being used. Spending one minute less in the shower each day will save £10 off energy bills each year, per person. With a water meter this will save a further £15 off annual water and sewerage bills. Turning down your room thermostat by just one degree can save more than £85 a year. The Warm and Well course takes only about 20 minutes contains loads of useful up-to-date information. So how do we convey all this information to those who need to know? Social isolation and digital exclusion are two obvious barriers to people discovering the information they could benefit from. Many older vulnerable people don’t have internet access or skills to find information on-line. Personal communication and engagement, then, is important. If your volunteers or staff who engage with the public could benefit from free training on how best to convey this information to your service users, contact us on 01362 698216 or e-mail [email protected].